Sweet and potent are the keywords if you were to describe the Silverfields, nice big and sticky buds that can vary from green to purple. The strong genetic background makes the Silverfields a plant that is perfect to use if you are looking for that special plant to use for a longer period of time. In this F1 cross, there are several plant (pheno) types which makes it convenient for the strain hunters to make a good choice during selection. 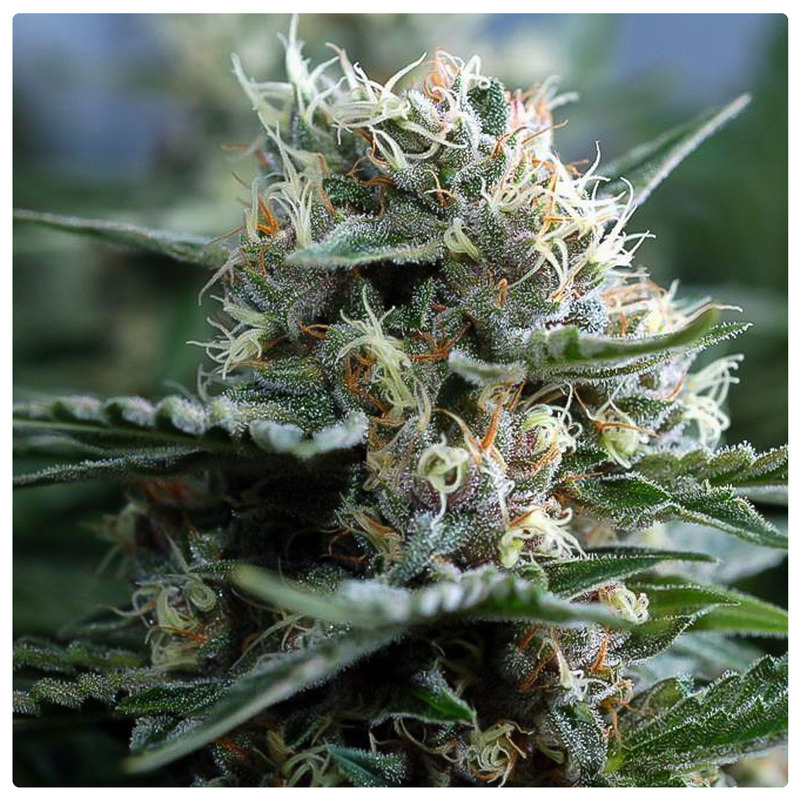 The Silverfields has a lot in common with our feminized Sugarpunch with the exception of a larger share of sativa, if you are more high and mellow oriented than the Silverfields is the better option. If you’re looking for an ideal hybrid plant created with the emphasis on taste and effect, you have found it. Silverfields is an easy plant in the growth and flowering period although she does require a tight hand to control the sativa properties. The reward is beautiful hybrid plants colouring from green to pink and light purple and covered with trichomes which ensures very sticky buds. The Silverfields originated from the fantasy of my friend and fellow breeder Knutsel to create a hybrid plant that would produce plants that would carry on the best qualities from their parents. Knutsel is always searching for the most suitable plants that can be used to pursue its purpose. Supersilverhaze excels in THC percentage and effect and has a beautiful appearance, Killingfields excels in THC percentage and size of the buds and, of no lesser importance, she possesses the Blueberry purple influences. The combination ensures plants that excel in potency and are beautiful to look at as well. Silverfields is a sativa dominant hybrid which means that she’s a firm grower which needs to be taken into account, 9 plants per 1 square meter is the maximum which is suitable to start a 12/12 lighting schedule as soon as possible. 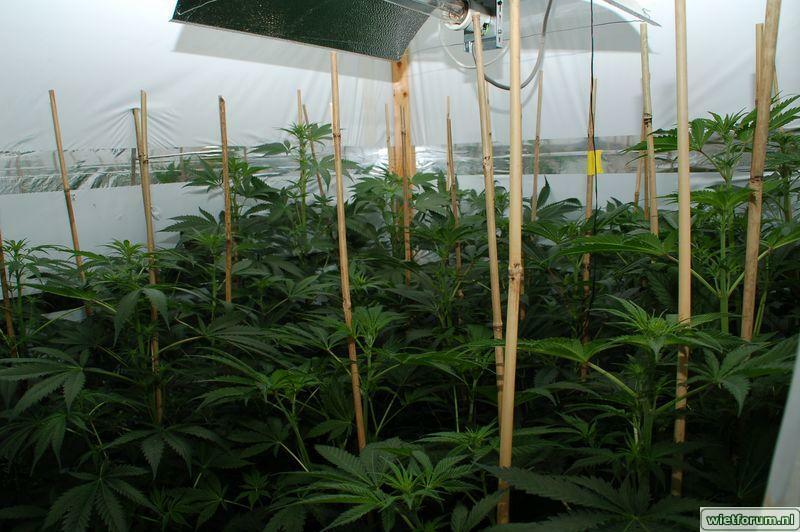 The first weeks should be successful then and the space will be fully filled with plants of about 1.5 meters height. 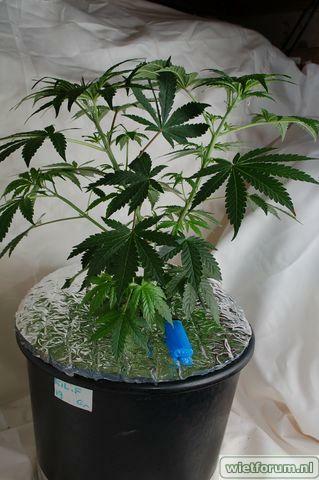 She also likes to be offered on a net (growing scrog) or undergoing other training methods. The flowering starts when the plant knows how big it can become and then proceeds rapidly. Silverfields quickly closes the buds that will swell up to large proportions with little leaves. 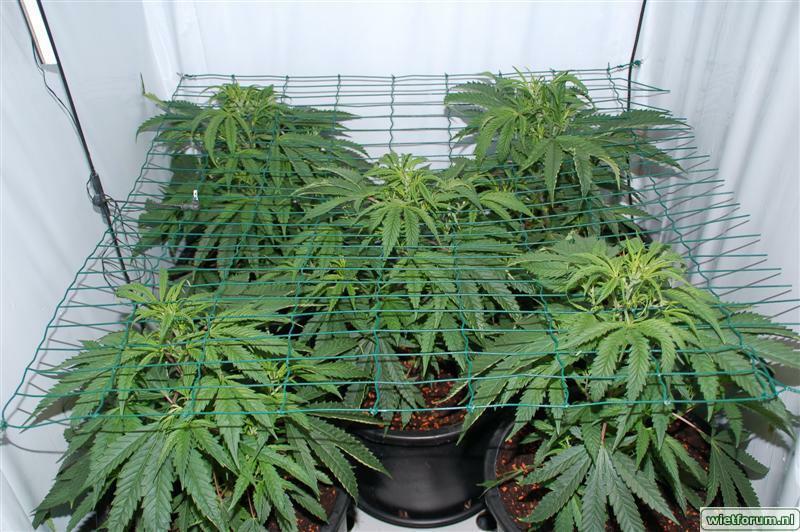 This F1 generation offers many different plants and therefore also offers lots of choice from different buds which can vary from green to purple without requiring the cold to achieve this. Silverfields blooms for 10-12 weeks and during this period, it produces a large, thick, high-quality buds. 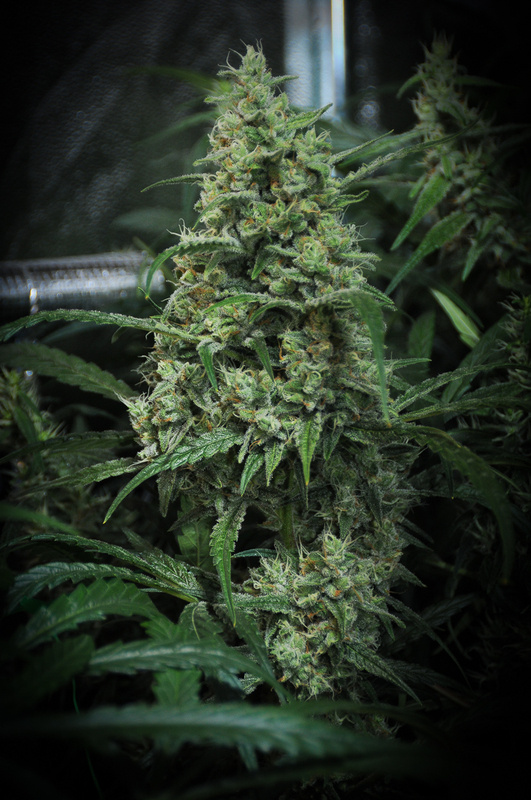 When the overall plant looks finished and approximately 80% of the pistols (hairs) have colored from white to brown, the plant appears to be ready to harvest. However, we also advise you to take a magnifying glass and double check whether the trichomes (resinous beads on a stalk) have changed from transparent to milky amber. Only then you will know for sure that it's time to cut them. We advise to hang plants in its entirety to achieve a drying period of at least 2 weeks (but preferably a little longer), this will benefit the taste and throat feeling! By using two parents who excel in taste and effect, it does not come as a surprise the Silverfields is oozing with potency. The soft taste which is difficult to describe, is complex with fruit and lemon undertones but you can definitely taste that you are dealing with a sativa dominant hybrid. The smoke does not expand in the throat and leaves a kind of oily layer which ensures a longer aftertaste. This is a typical Haze property. This Hybrid has both a solid high and a light stoned in it which can vary per plant and the user will have to experience which plant is suitable for the condition for which it should be used. The effect is strong, and it is wise to start with small amounts and go from there slowly. Complex scents which vary from fruity to sour with a clear haze undertone also reflected in the taste. Sticky, stinky, and insanely powerful! The description on this strain is very accurate and it produces some seriously powerful weed. It is a bit harsh on the lungs, but the power level and quality of smoke is exceptional. If you are wondering if this strain is worth ordering the answer is YES! In to the 12th week of flowering. Smoked a joint just now as I quick dried a bud. It's great !!!! I'm going to let them go another week or so but up to now for me the high is a combination of a complete body numbing buzzing effect and a head soaring creative high. I want to go run through the black forest chasing Bears while listing to Johann Strauss's Blue Danube and on the other hand I'm staring at the wall waiting for it to answer my questions about the Universe !!!! there that should answer your questions on how Silverfields is. Great. I'm keeping my Mother Plants from this strain. A solid 9 out of 10. Great job guy's. First, this stuff stinks like nothing I've ever seen, overpowers everything with fuely, old school, dead skunk, funk. Just stupid sticky pot, with a goofy, hard hitting, high. This stuff is absolute pukka! from 4 beans I had 2 phenos, both were coated in THC like I've never seen before, must be 25% thc if not more! The smell and taste is special, Lemon/citrus/grapefruit delicious!!!! Strong, Stinky and Sticky as hell!